Boot Barn Hall at Bourbon Brothers is Colorado Springs’ premier intimate mid-size live music venue and event center. Now open, Springs residents can go to A-List acts and a world renowned Songwriter Series without leaving city limits. Sitting on a $15 million campus with Bourbon Brothers Smokehouse and Tavern, the 15,000 sq. ft. venue will feature international, national, regional and local musicians; conventions; private events; special events; touring trade shows; and a farmers market, called Farmers and Crafters, housing up to 96 vendor booths. The Boot Barn Hall patio spans more than 7,000 sq. 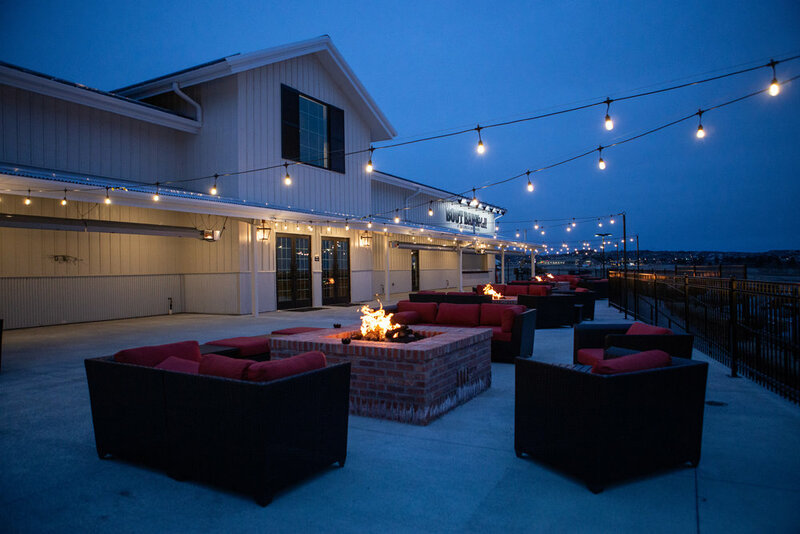 ft. and includes five fire-places and multiple HD TV screens, a 100-foot indoor/outdoor bar, and room for 408 in a banquet setting, 1,000 during live music, and up to 1,700 seated indoor and outdoor auditorium-style. 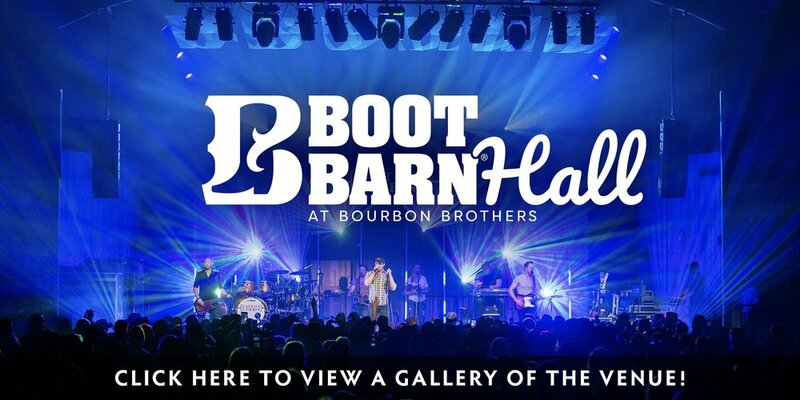 Boot Barn Hall at Bourbon Brothers is the Springs' gateway to great entertainment. We're Springs natives and we love our gorgeous stomping grounds, but we realized our hometown is missing something. More appropriately, it's missing somewhere. A place to welcome touring international, national and regional acts that we'd otherwise have to plan a road trip to experience. A place to gather friends and family in a unique and versatile venue that you can make your very own for your special event. A place to connect with your team or to take your career to the next level with a company retreat, convention or presentation. A place to embrace Coloradans' incredible craftsmanship and to support our state's most talented artisans and creators.